Drip irrigation is today’s need because Water – nature’s gift to mankind is not unlimited and free forever. World water resources are fast diminishing. The one and only answer to this problem is Jain Drip Irrigation Systems. “Jain Drip” the name which you can trust, the only manufacturer of all drip irrigation components. After detailed study of inter–relationship among soil, water, crop, land terrain and related agro climatic conditions, Jains designed a suitable and economically viable system to deliver a measured quantity of water at the root zone of each plant at regular intervals. This is to ensure that the plants do not suffer from stress or strain of less and over watering. The system installed at the farmer’s field is commissioned and training imparted to the farmer, followed by regular after sales services. The result – A totally customized, efficient and long–life system which ensures saving in water, early maturity and a bountiful harvest, season after season, year after year. Apart from all this, savings in labour and fertilizer costs. By installing Jain Drip, you will be a member of a happy family of Jain Drip System owners. Why Jain Drip Irrigation only ? Based on careful study of all the relevant factors like land topography, soil, water, crop and agro–climatic conditions, we select the most suitable and scientific micro irrigation system. 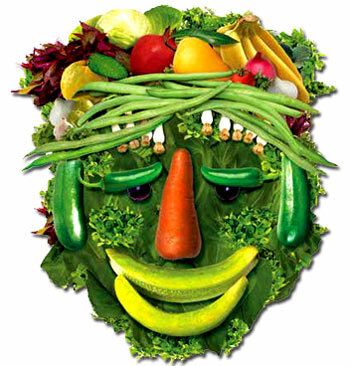 Jains offer you a complete system for your crop so that you reap all the benefits. We at Jain Irrigation do not merely sell the micro irrigation system, we provide Agronomic and Extension support, after sales services and all technical supports for getting better crop returns. And for this, we have more than 300 technocrats, engineers, agronomists, horticulturists and regional offices, as well as trained dealers, distributors all over India and abroad. Jains are a one stop shop for total Agricultural input needs. We have the capability and adequate support infrastructure to take up total turnkey Agricultural Development Projects of any size within the country or abroad, irrespective of land, topography, soil, water and other Agro climatic conditions. 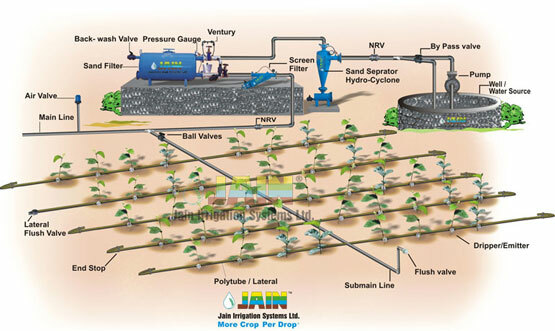 Jain Micro Irrigation System is made from high quality virgin raw materials, using advanced machinery. It is durable, reliable and meets international quality standards. Apple, grapes, banana, sugarcane, tea, coffee, cotton, mango, teakwood, vegetables, flowers... whatever may be your crop, we have a suitable micro irrigation system for each of them. All the system components are manufactured by us in our plant at Jalgaon, under strict quality control norms at every stage of production. Jains have been exporting various components of Micro Irrigation System to countries in Europe, America, Africa, South East, Middle East and Far East Asia. Jain Micro Irrigation System means a technology developed for farmers by a company which knows and understands the farmer and his needs for four decades..
Has recorded increase in yield up to 230%. Saves water up to 70% compared to flood irrigation. More land can be irrigated with the water thus saved. Fertilizer use efficiency increases by 30%. Cost of fertilizers, inter–culturing and labour use gets reduced. Fertilizer and Chemical Treatment can be given through Micro Irrigation System itself. Drip irrigation system delivers water to the crop using a network of mainlines, sub–mains and lateral lines with emission points spaced along their lengths. Each dripper/emitter, orifice supplies a measured, precisely controlled uniform application of water, nutrients, and other required growth substances directly into the root zone of the plant. Water and nutrients enter the soil from the emitters, moving into the root zone of the plants through the combined forces of gravity and capillary. In this way, the plant’s withdrawal of moisture and nutrients are replenished almost immediately, ensuring that the plant never suffers from water stress, thus enhancing quality, its ability to achieve optimum growth and high yield.